Continuing on in the spirit of counting things, I’ve just released a few new items to further your own counting enjoyment. 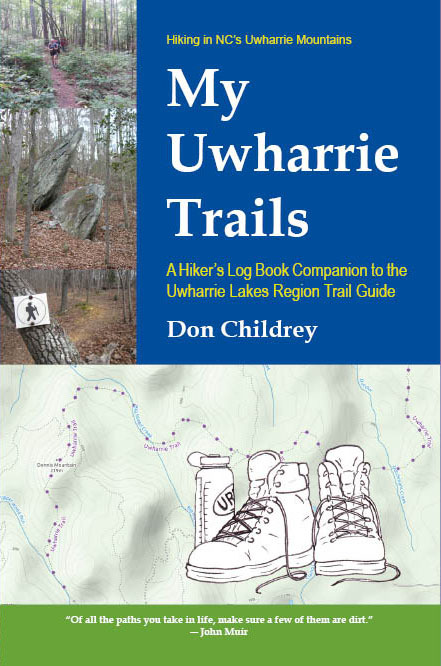 If you already have a copy of the Uwharrie Lakes Region Trail Guide, you know there are lots of trails detailed in the book. Now there’s an easy way to count your hikes on those trails: My Uwharrie Trails – A Hiker’s Log Book. This new book offers space to record your experiences after hiking each trail. One day you will appreciate the minute or two it takes to jot down a few notes about when you hiked, who you hiked with, what you saw, etc. It might seem a bit like a chore now, but having those notes will be super helpful after you’ve packed your internal memory banks with years and years of fun hiking adventures! I once backpacked from Dark Mountain to the NC 24-27 trailhead in a single, long, wet day. It was supposed to be an overnight trip. After a morning of steady rain soaked us to the bone, we found it hard to agree on where to camp. So we kept hiking. Eventually, we hiked so far it became easier just to hike on through and sleep in a dry bed back home. It’s an experience I won’t ever forget. But I have forgotten the names of most of the guys I hiked with that day. Jotting down a few notes would have preserved those names for me. 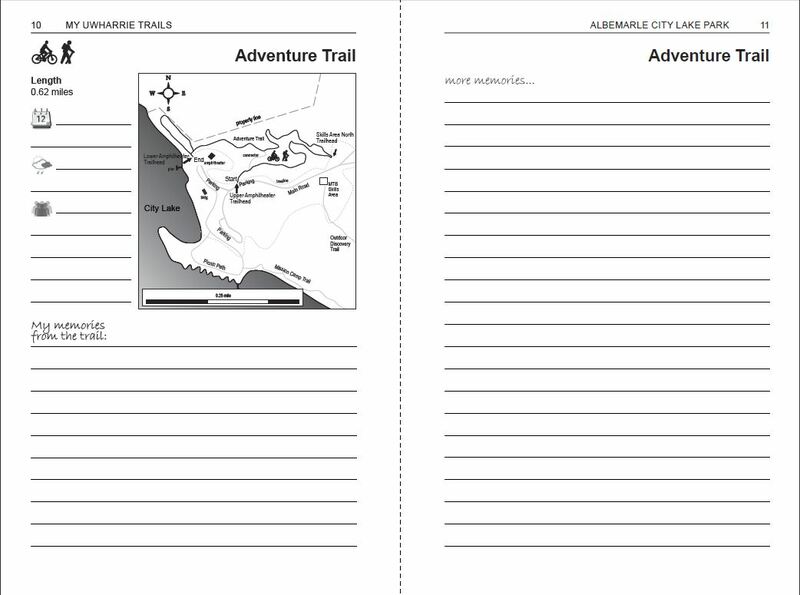 Each trail in the log book is listed with its own map and space for notes. Enjoy counting off the trails after you spend quality time outdoors. The log book will serve as your official record of achievement once you’ve hiked all of the trails in the Uwharries! Order a copy of the log book from my website or from Amazon and start counting trails! If you choose to backpack some of these trails instead of just day hiking them, you’ll likely carry plenty of gear with you. I designed a super soft t-shirt with the list of essential backpacking gear right on the front! The Backpacker Gear List t-shirts are available in dark colors or light colors. Whether you take it on the trip or just relax in it later, this shirt will remind you of those moments when it feels like you can count off every piece of gear you own and it’s all on your back! After I created this shirt design, I realized it perfectly describes that pack-mule feeling I get sometimes! For those who often hike along the Uwharrie Trail corridor, I designed a t-shirt to remind you of some familiar trail names and places. Enjoy! The Uwharrie Trail Place Names t-shirts are available in these light colors.